Background: This discussion took place in preparation for a consultation on faith and development in South and Central Asia, held in Dhaka, Bangladesh January 10-11, 2011. The consultation is an endeavor of the World Faiths Development Dialogue (WFDD) and the Berkley Center for Religion, Peace, and World Affairs at Georgetown University, with support from the Henry R. Luce Foundation. Its aim is to take stock of the wide range of ongoing work by different organizations that are, in varying ways, inspired by religious faith, but more important, to explore the policy implications that emerge from their interactions with development organizations. The interview was by telephone between Michael Bodakowski and Dr. Chintamani M. Yogi. In this interview he reflects on the role of spirituality in creating a peaceful society, values-based education, the importance of interfaith dialogue and engaging youth in peacebuilding, and the political transformation in Nepal. Can you tell us about your personal background, and the path you have taken to arrive to your present positions? I was born in a small village to a farming family in the western part of Nepal. I studied Sanskrit and started my career through learning languages. I completed my M.A. in philosophy and then came to Kathmandu. After I moved to the city, I started to do social work through my school, and when I was only 21 years old, I took the responsibility of becoming the principal of the school where I am at today, Hindu Vidya Peeth-Nepal (HVP). Since then, we have expanded, and now operate three schools and other programs including, Shanti Sewa Ashram, and other organizations including the Children’s Peace Home and Youth Society for Peace. I have been in Kathmandu for 25 years, educating myself in Sanskrit, meditation, and yoga. I decided to spend my life serving society, volunteering through my spirituality, and trying my best to serve the community, and humanity as a whole. How have your faith commitments motivated you to do the work you are engaged in today? I grew up in a small farming community and my parents instilled within me with a solid spiritual. The philosophy I have learned in my life and follow is from my father, and other important life lessons are from mother. Both of my parents were uneducated, but my father taught me important lessons of JnanaYoga (Philosophy), and my mother of Bhakti Yoga (devotion). My father passed away around 10 years ago and my mother is still alive. She is now over 75 years old and although she is uneducated, her religious devotion remains very strong. I believe that my parent’s teachings were like a seed that was planted early in my life, and sprouted to full bloom after I came to Kathmandu; it was then that I realized I wanted to serve humanity through my spirituality. The seed was sprouted through the inspiration I found in meeting some very good people (late Dr. B. L. Shrestha, late Badri Vikram Thapa, Swami Prapannacharya, among others). My studies of Sanskrit and yoga as well, have given me a firm foundation to serve society, based on my spirituality, on a practical level. What are the specific teachings behind your practice of yoga that led you to pursue this kind of life and how do they translate into your work? I practiced yoga from a very young age. When I was just 7 years old, I went to Delhi, India for my studies and pursued my education in Sanskrit. I tried to follow the practice of yoga, but actually at that time yoga was only a practice, a hobby for me; my relationship with yoga at that time was different than it is now. When I became a social worker and a volunteer at Matriboomi SevakSangha, is when I realized that yoga had become an integral part of my life. I now understand that yoga is a crucial part of serving humanity; it is like a philosophy, like a part of my growth that enables me to cultivate my life of service. Being as a follower of the Gorakhnath Yoga Tradition I feel that there are no boundaries, no limitations and no conditions; one has to go higher and higher for Self Realization. The study and practice of yoga also enables me to understand the secrets and mystery of the entire universe. Yoga is both a message for my life, as well as a part of my life. It teaches me to connect to the supreme power, and enables me to connect myself with every human being (Hindus, Buddhists, Muslims, Christians, Jains, Sikhs, Bahais etc. ), and to all of nature. I believe that I have learned tolerance, and to fight against discrimination towards differences of nationality and religion within the community. Describe to us the work and scope of Hindu Vidya Peeth School - Nepal? We have three schools that serve students from the nursery school level through the tenth grade, by which time, in our education system, the student is 16 years old. We have 1,400 students in total, from different ethnic backgrounds and faith traditions. We have Hindus, Buddhists, Muslims, and Christians in our school; in Nepal, there are more than 100 languages and ethnicities, and all these different people are living together in Nepal, which we aim to represent through our diverse student body. We also serve children from the marginalized communities, including orphans, war victims, lower castes, disabled, among others, and we aim to teach moral education in addition to secular courses. We try to instill in our students a strong spiritually based education and help them to understand our culture and values, and to take responsibility for their community and their country. We are a poor developing nation and we need to work hard to preserve our culture; children from all backgrounds must work together and help us to maintain our country and our cultures. How many schools do you have and where are the schools located? We have two schools in the Kathmandu valley and one school in the Western part of Nepal, where society is less developed and there is more poverty and social injustice. There are two kinds of education systems in Nepal. There are government schools and there are private schools that are opened by wealthy individuals or groups and are fully self-supported. There are several government schools all over the country but they do not produce the best results. The academic system is old and outdated and the education level at some schools is poor. There are schools that have become centers for political training; Maoists, Communists, the Congress and others have tried to co-opt the government schools as their personal learning and teaching centers. All the teachers at these schools are active members of the Communist party or the Maoist party or another political party, and even very young children of only 12 years old are encouraged to be political. This is a crime against the students; I consider this a very inhumane practice. Private schools are usually very well regarded academically. Private school students tend to get very good grades and at least 80 to 90 percent continue to higher education. Though these students are given good education with high academic standards,, it seems to me that basic values, culture, and spirituality are largely ignored. I consider these institutions to be largely profit making institutions that are not sufficiently concerned with the spiritual well being of the students. When I first started thinking about the education system in Nepal, I realized that we wanted to open schools that provide great education but also incorporate the spiritual component of human education. Because the other schools do not integrate spirituality into their school system, it has created serious problems in society. It is the school’s responsibility to build up society and to teach students how to be whole human beings. In reality, very few schools do this, and we have tried to fill this void. Our education levels are good, but much more importantly, we have good quality students that understand global issues, and pay attention to the values of peace, love, respect, tolerance, kindness, cooperation, and harmony. I hope that our students will take a strong social responsibility approach with them when they leave our schools and enter society at large. How about the other organizations you are a member of? What is the nature of their work, and where and how do they operate? At the Shanti Sewa Ashram (SSA) we concentrate on peace and education, working mainly at the community level. In Nepal, there are many poor people that have been affected by the Maoists. We try to offer services and programs for very poor children from marginalized communities, as well as to women. There are some communities in Nepal, especially from the hills, where domestic violence is common. We try to work with these families and rehabilitate the women. They come to the Ashram and receive free education and free training. We also try to organize national level programs with prayer groups and anti-violence training. Over the years we have grown into a center for underprivileged children and women from all the different communities and faiths. We try to understand the social problems and provide communities with a new spiritual understanding, to lead them to a spiritual awakening to make a positive change in their life. The second organization I am involved with is the Youth Society for Peace (YSP), which was started by the Ashram and HVP. Most of our participants are from indigenous groups. We have worked to engage them in programs that will be useful for their communities. This year we have a program called Arms Down, which is the first step to starting a peace club. Many of these youths are losing their culture and their traditions. They encounter many political and social problems that make them want to run away from their country. We try to introduce the ideas of positivity and responsibility to help them to work for societal change, and to decrease the negative effects of issues including drugs and alcohol. The third organization is the Society for Value Education (SVE). This organization promotes value based education. The values taught are not to promote Hinduism, but rather we try to promote basic human values of peace, respect, and tolerance to the school children. We want to bring value based education to society and give teachers, students, and directors, the ability to teach others and make a network of like-minded people at their schools. We are particularly working on issues of poverty and community-based education for the betterment of the rural communities. The National Curriculum Board (I’m also a member of the board) is also working towards a value based education text book that we can use and share in schools and colleges. My fourth area of concentration is the National Inter-faith Coordination Movement (NICM). The movement began four years ago and focuses on interfaith harmony among different communities. We are trying to conduct programming to bring all groups together; that is why we started this movement. I am very happy that we have many interfaith participants, including Hindus, Buddhists, Muslims, Christians, Bahais, Jains, Sikhs etc. Similarly, I am involved with several activities for the well being of children who have no homes, no parents and no hope for their growth, protection and development. For this purpose we have established a home named “Children’s Peace Home” which is located at Dang, in the western part of Nepal. The home provides poor and destitute children, orphans, and war victims, with both education and shelter. There are currently around 50 children in the Children’s Peace Home, growing and living in a caring and loving environment; this Home has given us a great amount of satisfaction. There are many humanitarian problems facing Nepal that I believe can be addressed through religious institutions working together, for example, violence against women, poverty, illiteracy, and the lack of hope and optimism among Nepalese youth. All of these issues can be addressed if Christians, Muslims, Buddhists, and Hindus work together and send a strong message to their communities to work together to solve their problems. Social problems belong to each one of us, to all of humanity, not just to one community. Nepal is in the process of making a new constitution and there is an ongoing peace dialogue. Nepal has now become a secular country constitutionally, but it has always had a multi-religious, multi-cultural, and multi-ethnic character. We have many political parties, including the secular Maoists that often employ policies that contain some extreme violent communist ideas that are not conducive to social and religious harmony. Lately, there are more issues with religious intolerance, and I believe that unless there is open dialogue, we are not going to find harmony and achieve peace. I think we need to form a cohesive multi-cultural and multi-religious community, so that we can bind together to face the problems in our country. We should be very careful while using the word Secular (Dharma-nirpeksha) in Nepal. There are other better alternatives which may create more harmony and trust for each other. We must bring religious people together and work together against social problems, without employing political motivations. You are trying to create networks of teachers and students around value-based education. Can you speak more about these networks? How are they formed? At the moment the networks which we are trying to create are mostly from the teachers we encounter at private schools, though we are focusing on government schools as well. It is quite difficult to approach government teachers in Nepal because they are more politically motivated. Until now this network is more accepted in private schools, but we are now making an effort to reach out to government schools. Overall, what are the biggest developmental challenges facing Nepal today? Nepal is in a process of change and development, giving form to a new democracy after a long monarchy. We are trying to properly establish all the different parts of our government, but it seems that while this is taking place, development has been largely ignored. All the different political parties are fighting with each other for power, but the issues of development, literacy, health, children rights, human rights, basic needs, and irrigation, are largely not part of the discussion. 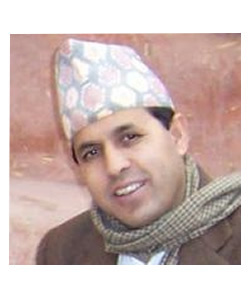 Nepal is a deep culture, and I believe that once we have political stability, development in Nepal will come naturally. However, the government has given the minimum benefits to the people, creating frustrations, and pushing them to become Maoists. They are poor and exploited, and in an effort to support their families, they turn to guns and violence. Similarly, the people living in villages have no income or security, and they leave the country if they have a better offer somewhere else. I think that value based education is the only key to address the most pressing development issues facing Nepal. If we teach our children the spiritual elements of life, and help them to develop spiritual awareness, then we can affect all levels of our country, including the army, government, administrators, and especially the youth. In fact, only value based education can develop a whole human, a human who is committed to society and is positive in facing any kinds of challenges, to reform society and bring a new light to their community. I have read that you are leading a peace movement in the country? I have been involved in a peace movement for many years. In our schools, and in the Ashram, we focus on the peace movement in Nepal. Beginning over the past few years, peace has taken a crucial role in ensuring development in Nepal. We have tried to foster negotiations between political parties and religious groups, because politicians or politically biased people are the main source of conflicts, and it is important that religious actors become engaged. We have tried to organize seminars, conferences, write articles, speak on the radio, and appear on television shows to promote the idea of spirituality and harmony. I focus more on the human level of peace as opposed to the leading political parties and Maoists, who are only talking about peace at a superficial level. For them, peace is a dialogue that is comprised of the two parties that are involved in the negotiation process. I think that in order to have outer peace, one has to find a level of inner peace. I believe that hope and light are accessible to everybody, and that if people understand the message then they might try a different way to solve their problems. For example, the youth are very tired with the state of things and are looking for a new way to solve their issues. I think if we introduce the idea of spirituality and harmony, then they will try to incorporate them into their lives. We need to bring women from oppressed communities and different ethnic backgrounds and religions into the dialogue as well. About four years ago, there was a terrible incident involving some misunderstanding between the Hindus and Muslims in Kathmandu in response to an incident where some Nepali people were brutally killed in Iraq by Iraqis. The incident quickly inspired violent protest among some youth in Nepal. We planned a big rally in response to the incident, including prayers and seminars with both Hindus and Muslims, and encouraged people of both faiths to attend. We went to the mosque many times and tried to get people to go with us and I think that was one of the biggest interfaith rallies that we have held. We worked alongside of Hindus and Muslims to retain harmony and solidarity in the community. I'm happy to say that the friendships which were built still continue, and mutual understanding has improved, along with the support of the respective religious communities. What is the role of religious leaders in development in Nepal? In Nepal, we have had religious harmony until now. Some of our political parties are misguided and are trying to create conflicts between different groups and communities. The sentiment of religious people is misguided as well, concerning the unstable political situation in the country. As I said, the country is in the process of making a new constitution, but what should be the model for this constitution? What should be the key points to maintain harmony among different faiths, castes, languages, communities, regions etc? It seems that political leaders, especially the Maoists, may not understand the cultural diversity of Nepal, and the past century which was based on harmony—a truly unique aspect of Nepal. The Maoists and some political leaders believe there is a class struggle; they what to divide society into many different classes and then create a struggle between them as means to get and maintain power. What other faith-inspired actors are involved in peacebuilding in Nepal? What kinds of initiatives are there, and have there been successful examples? Many interfaith movements are now taking place in Nepal; many civilians, religious Gurus, and social workers are now coming closer, sharing their issues and building better relationships. They are making a promise not to get involved and be spoiled by politics. Inter Faith Council, National Inter Faith Committee, Global Network of Religions for Children, Religions for Peace-Nepal, United Religions Initiative, Parliament of World Religions, among other organizations are quite active in Nepal nowadays. In fact, Nepal is a country where there has historically not been any war between different religious groups, that is, until now. Now, the new political situation threatens the societal harmony in our country; so we all need to be very careful. What are the gender challenges facing Nepal? What are the faith dimensions, and are faith-inspired actors successfully working towards gender equality in development? Actually, Hindu and Buddhist culture and philosophy have given very high respect to women, but unfortunately the practice has gone wrong, so that bullies have taken leading roles in the society, and they try to dominate women. In response, many gender based activities are going on very successfully in Nepal; the government also is working to give more freedom, security, and opportunities to women. Faith based movements are working to raise awareness about the woman's role in society. So I think a proper understanding and practice of culture can solve many problems. Recently, we celebrated the World Day of Prayer and Action for Children, which had a strong focus on the situation of women and breast feeding; in all programs there was tremendous support from all faiths. Many NGOs and INGOs are also working collectively on gender based problems in Nepal. The 16-day long (from November 25) celebration against the violence of women was observed very sincerely throughout Nepal. What other kinds of institutions are there working on development that have faith links or inspiration? What categories do you see? What are the best among them? Which are the weakest? United Mission to Nepal is doing a massive job for development in Nepal; their projects are scattered throughout the country and are very successful; but the only concern is that sometimes they focus on religious conversion in remote areas—especially with underprivileged people, which may create conflict in the future and contribute to the disappearance of ancient indigenous culture. Christians are quite strong in Nepal on educational and health service projects; they are marvelous, but how can they contribute to maintain culture and harmony in the society, that we have to see. Many other Hindus and Buddhist organizations (Sai Sewa Samiti, Krishna Pranami Sewa Samiti, Prajapita Brahma Kumaris, Devaghat Dham Development Trust, Nepal Buddhists foundations, among others) are running various programs on education, hospitals, community service projects etc. Muslims (who have been living in Nepal happily for centuries) are also doing very well but only in their own communities. What kinds of issues would you like to see addressed during the consultation? I think this consultation should encourage and promote friendship, understanding, harmony and openness between all the participants, and then give us some tools to apply in our communities. We need to learn better how to bring all the religious faiths closer, and how to inspire them to take their spiritual messages to the grassroots level for the betterment of communities. I would also like to discuss how to address humanitarian issues—drugs, violence against women, illiteracy, poverty, heath, child care, water, environment etc—collectively, no matter what our faiths are and what our practices are. Similarly, how to bridge the gaps between developed and developing countries; Asians and Americans? And most importantly, how to preserve culture and share spiritual messages across borders.